8 months to let you become a CCIE ! Click the following headings to check the details! • Cisco Certified Internetwork Expert. 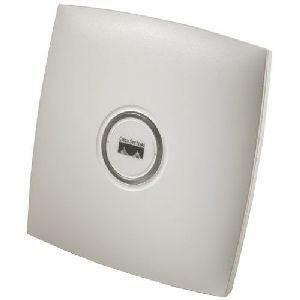 • Introduced by Cisco in 1993. • Very top level of certification in Cisco. • Industry and worldwide recognition of an elite group of internetworking professionals. • Best Hands-On Program and Most Technically Advanced Program. Demonstrate highest level of expertise in Internetworking. The most highly-compensated IT professionals in 2018. Monthly salary over HK$120,000 in U.S. Monthly salary over HK$25,000 in Mainland China. One of the Hottest Examinations for 2018. Only 20,860 worldwide and 262 in Hong Kong (as in April 30, 2010). The numbers have not been announced on Cisco web site officially since May 1, 2010. Required in Cisco's Gold and Silver Channel Partner Program. 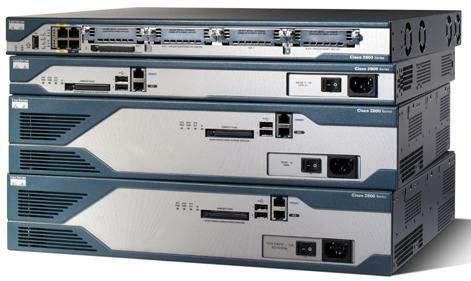 The Gold or Silver Channel Partners are reseller of Cisco Products. They have high credibility, good support, and high level of customer satisfaction so they are trusted by large corporations and governments. 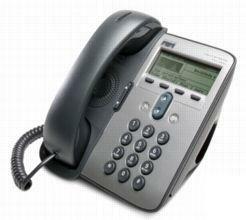 They can receive product discount, sales / marketing information, tools, and support from Cisco. Needed in many consultancy firms as well as training institute. For example, we are going to recruit CCIEs for CCIE training. Certainly, priority will be given to our CCIE students. Opportunities in administrative and management level. As the top guy in a team, CCIE has more opportunities to be promoted to administrative and management level e.g. IT director. In a company doing IT business, after gaining some years of management experience, being promoted to general manager or director is not unusual. Networking theory related to topics such as IP, IP routing, non-IP desktop protocols and switch-related technologies, and includes some equipment commands. Build a series of complex networks to certain specifications. Note : Although you can take the CCIE exams with no prerequisites, CCNP level knowledge is essential in order to pass the exam. • 120 minutes, computer-based exam of 90-110 questions and a minimum score of 790 to pass, on a scale from 300 - 1000. • If you fail the written exam, you can re-take the exam again after 5 days. • After passing, within 18 months to schedule your first lab exam. 41-47 Marble Road, North Point, Hong Kong. 2 Tuen Hi Road, Tuen Mun. Eight-hour lab exam and a minimum score of 80% to pass. Network specifics, testing criteria, and point values will be provided. You can get 2 points if you configure correctly. However, no partial point will be given i.e. you will not get 1 point if you only configure R7 in the above example correctly. The CCIE Routing and Switching Lab exam consists of a 2 hour Troubleshooting section, a 30 minute Diagnostic section, and a 5 hour and 30 minute Configuration section. Candidates may choose to borrow up to 30 minutes from the Configuration section and use it in the Troubleshooting section. Candidates must reach a minimum threshold in all three sections and achieve an overall passing score (80% traditionally) in order to pass the lab and become certified. Schedule your lab exam online. You can schedule your lab on Cisco web site with your candidate ID and your result of your written qualification exam. Cisco documentation available for reference during the lab portion. Ask proctor to clarify questions or report equipment problems. 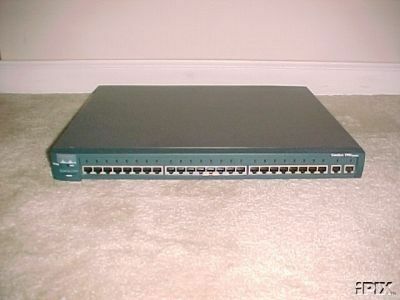 The proctor is a Cisco staff that will sit in the room where you take the lab exam. He is a CCIE, therefore he has the ability to help you in the lab exam. For Hong Kong lab examination site, you can ask the proctor using English, Cantonese and even Mandarin. Result available within 48 hours. Cisco Systems, Unit 2901-2905, 29th Floor, Great Eagle Centre, 23 Harbour Road, Wanchai, Hong Kong, P.R.C. Exam starts at 8:15 am and ends at 5:00 pm (15 minutes introduction and 30 minutes lunch time). Full payment must be made at least 90 days before the lab exam date. (By credit card on-line or by wire transfer to a US account). A total of 8 months training and lab practice. The starting date is on 13 May, 2019. Materials and Lab booking will be available on and after that date. Lab exam course materials include 18 topic-specific labs and 9 full labs. Full labs are large-scale labs where different areas and techniques are included in a single lab e.g. multiple routing protocols such as RIPv2, OSPF, EIGRP, BGP are included in the same lab. Materials can be downloaded from our FTP server. The materials include information, web links, instructions, explanation and answer for each lab. 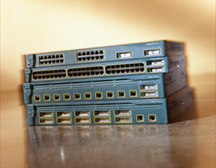 Lab can be done in our own CCIE equipment racks which can be accessed through Internet. You can study and prepare for your lab anywhere and any time you like. 189 hours of on-line lab time. 6 hours are allocated for each topic-specific lab and 9 hours are allocated for each full lab. You can book your desired time for the lab through Internet and perform the labs through Internet. Therefore if you are busy, you can perform your lab at a later time e.g. in the next week. Moreover, you can perform your lab during your business trips if you have an Internet connection. For the on-line lab, booking is made in terms of 3-hours sessions. You can book 2 consecutive sessions (i.e. a total of 6 hours) for a topic-specific lab or book 3 consecutive sessions (i.e. a total of 9 hours) for a full lab. However, if you do not have 6 hours or 9 hours in a day to do a lab, you can do the lab in 2 or 3 non-consecutive sessions at different times. For example, for a topic-specific lab, you can do the first half of the lab on Monday 9:00 p.m. and then do the remaining half of the lab on Tuesday 9:00 p.m. In order to allow you to quickly restore the equipments to the state where you left-off in the last session, a list of configuration commands of the answers for each routers / switch for the tasks in a lab are provided for you to copy-and-paste to the equipments. Systematic CCIE Forum for solving your problems. A Systematic CCIE forum (http://forum.systematic.com.hk) supporting both English and Chinese is held on our own server. You can ask questions about the materials given or any problems encountered in the lab. Our CCIE trainers (Mr. Norman Lau #10912, Mr. Vincent Ho #11933 and Mr. Franco Tsang #19772 with triple CCIE titles on Routing and Switching, Security and Service Provider tracks) will answer your questions and solve your problems. Since you can also learn from others (i.e. questions and problems posted by others), it provides an additional way to learn more through the interactive questions and answers. If there is any question or problem cannot be solved in the forum, we can arrange explanation by phone or even demonstration through classroom tutorial. Written exam materials will be provided after 18 weeks of the course has finished. After learning through the topic-specific labs, additional materials in form to notes of links will be provided to you sufficient for you to pass the written exam in order to be qualified for the lab exam. 48 hours of classroom lab time (Each class consists of only ONE student). The classroom training consists of 6 days of 8.5 continuous hours (with half an hour lunch/dinner time) classroom lab training. Before making appointment, all students are required to finish all topic specific labs, pass the CCIE Written Examination and finish all full labs in the FTP Servers. We will use the rack usage hours as reference to determine whether the student has achieved the above requirement. Simulation for CCIE lab exam with the 1st simulation lab. Our CCIE trainer (Mr. Norman Lau #10912, Mr. Vincent Ho #11933 or Mr. Franco Tsang #19772 with triple CCIE titles on Routing and Switching, Security and Service Provider tracks) will be present in the classroom to act as the proctor. Therefore you can ask any question as in the real lab exam. Practice the 1st simulation lab again with our answer provided. This allows you to learn the correct way to do the 1st simulation lab and discover your own weakness. After finishing the first lab (Day 1 and Day 2), you can book the CCIE Lab Examination and schedule the remaining 6 classroom training days according to our trainer's advice. Simulation for CCIE lab exam with the 2nd simulation lab. Practice the 2nd simulation lab again with our answer provided. Simulation for CCIE lab exam with the 3rd simulation lab. Practice the 3rd simulation lab again with our answer provided. In order to protect the benefits of our CCIE students, the lab material for classroom training cannot be taken away. Therefore we provide an extra day for each lab so that you can practice the configuration with the correct answer and familiar with it. Flexible arrangement of your own study schedule. Since CCIE training requires a lot of study and practice time, the course arrangement allows you to arrange your learning and lab practice in a flexible way. The course we offered is based on CCIE Routing and Switching track. This is the most general and popular CCIE track. This is also a good starting point if you want to take other tracks since most of the knowledge you learnt in the CCIE Routing and Switching track will also be needed in other tracks. Tailor-made course materials to let you pass the written exam and have the skills and proficiency necessary for taking the lab exam. - How to search the Cisco documentation efficiently. - The techniques to ask proctor in case of uncertainty encountered. - Special techniques when you encounter special equipment problems. 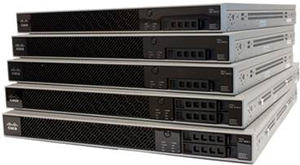 Equipment includes routers, Catalyst Multilayer switches, Access Server and is adequate to simulate the real lab exam environment. 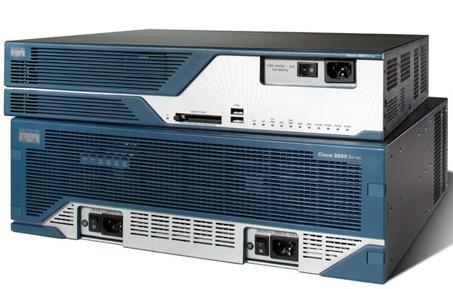 On-line Lab: a typical CCIE rack for our on-line lab will consist of 10 Cisco routers (e.g. 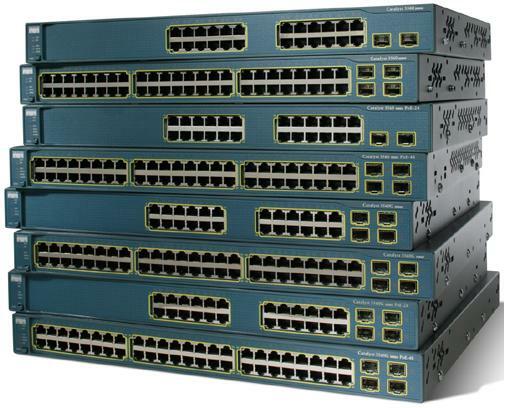 2900 series as core routers, 2800 series as core routers, 2800 series as backbone routers), 4 Cisco Multilayer switches (e.g. 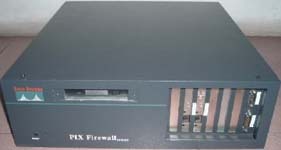 3560X and 3560 series), 1 Access Server. Classroom Lab: a typical CCIE rack for our classroom lab will have the same amount and series of equipment as in that of On-line Lab. Free lab time will be provided if you fail the lab exam unfortunately. 60 hours of free lab time allow you to practice the on-line labs. This allows you to learn the theory about the techniques being learnt in the lab and introduce more about the equipment being used. It explains the initial condition of your lab. It also includes the steps you need to perform in order to setup the initial condition of your lab. If there is a lot of configuration, the initial configuration will be provided for you to paste to the concerned equipment. These are the tasks that you need to perform in your lab. According to the tasks, you have to decide which techniques and commands are needed for the tasks. If you do not know how to do a task, you can find hint or the location in the Cisco Documentation where you can find the answer. This allows you to check if you perform a task correctly. This allows you to check if you have entered the correct commands for a task. This provides you extra information about the task e.g. things you need to take care when performing a task or configuring a command. These are the final running configurations as well as the results of other show and debug commands of the equipments you configured. This allows you to final check whether you have configured all tasks properly. This is essential since if you configure a task at the end wrongly, previously configured tasks may be affected. These are the additional information for the lab. For example, it may list any alternative way to configure the tasks in the lab. Congratulations !!! You are a CCIE now ! Be prepared to have a salary raise and a lot of good jobs will be waiting for you. You only need to take the CCIE written qualification exam every two years in order to recertify.